A spokesperson said, “Starting with the traditional school song, Colin Smith, Chair of the Board of Governors, then praised Mrs McCorkell for her 27 years of service to Warwick Academy. “She started the Sixth Form Centre in 1999 with 15 students. Today Warwick Academy’s Sixth Form is the flag ship of the school with over 120 students. It is an International Baccalaureate Centre as well as the only accredited BTEC centre offering Hospitality, Leisure and Tourism and Sport. “The IB Programme has been highly successful with students having received direct entry into the top universities in the UK some of which include Oxford, Cambridge, St. Andrews and UCL, top Canadian schools, Queens, Western, UBC and University of Toronto and US schools such as Duke, Penn State, The Juilliard School and Northeatern. “Students have also gained direct entry into Medical school and Veterinary school in the UK. Mrs McCorkell has been Principal for 7 years helping to make the school so much more than just a place to learn. The school is fundraising and building an extension to their Sixth Form Centre in honour of Mrs McCorkell which will be named the Maggie McCorkell Student Commons. 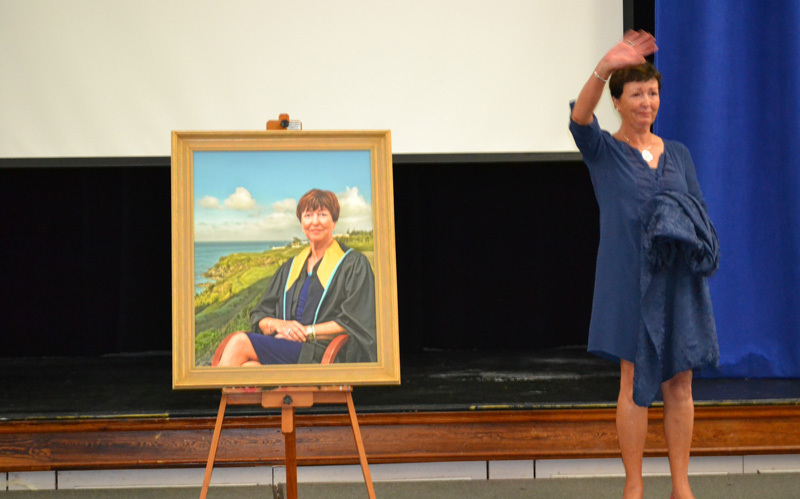 To one of the best teachers/educators Bermuda has ever seen, enjoy retirement! You’re contribution to the lives of your students has been outstanding and I wish you all the best as you begin this new chapter!